Every day I get invited to some travel-related event or other. Just today, for example, I’ve been asked to afternoon tea to hear about a resort in Antigua, had the pleasure of my company requested for a VIP event for a members-only luxury airline, received an invitation for a drinks evening for a luxury apartment business, and received an offer of a press day with a national tourist board. Most of these events take place in London it seems but, wherever they may be, there’s invariably an inherent assumption that I am based in the same location that the event is being held. I’m putting this blog post together as a polite point of reference for anyone inviting me to similar future events. If you’ve been directed to this particular blog post, it’s likely that you’ve invited me to an event and I’m hoping this will explain things a little from my side. Let’s start with why I’m being invited. And let’s not kid ourselves on this one – the reason you’d like me to attend is because you’d like me to learn about your offering in the hope that I will then write about it on the blog. That’s the ultimate intention, at least, even if you prefer to dress it up in some other way (eg. ‘an opportunity to get to know each other’, etc.). Secondly, I’m not based in London. Or Paris, LA, New York, etc. or wherever your event is being held. To attend an after-work event in London (commonly, these events are held at the end of the working day), it costs me over £100 in rail fares, another £100 to stay the night because the last train home departs before the event finishes, and up to £50 in extras (subsistence, taxi, etc. ), and – more importantly – 1-2 days of my time. For overseas events, it’s more costly still. In short, you’re asking me to pay at least £250 and give up two days of my time, to hear your ‘advertisement’ (or, as you might put it, to provide me with ‘editorial opportunities’). That’s fine if you have budget. If it’s a good fit for the blog, if I’m available and if you’re prepared to pay my day rate and expenses, then I’d be delighted to attend and write about it. If instead there’s no budget, then it simply doesn’t make sense for me to pay for the privilege of being there and I hope this short post explains why. Great post Paul. Yes this is an issue, I think partially because the industry of travel blogging doesn’t have clear guidelines, at least as yet. So of course this doesn’t do any of us any favours. There are, of course, entities who have an appreciation that time and expertise are a commodity just as any other skill that is marketable in any other industry. 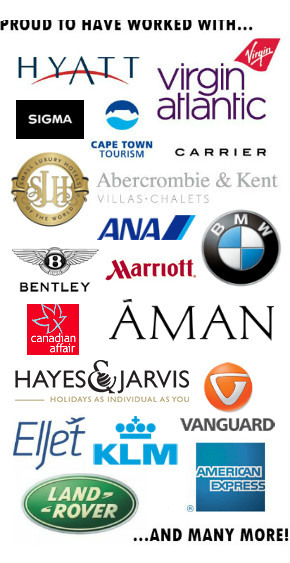 Additionally some travel brands that I know of have had bad experiences with bloggers and writers. Free accommodation and food in return for a post or article, which have not been delivered. Ideally it should be sewn up on both sides, so that the rest of us don’t get a bad reputation (meaning those of us who will deliver whatever the deal promises) and so that PR companies and other entities appreciate that our skills and time need to be valued financially also. Indeed, Jackie, although I think the problems you describe are also applicable to many industries, too. Hopefully people can weed out to some extent those who deliver and those who do not – a little bit of research prior to committing should allay many concerns. Interestingly, one of the companies that contacted me about an event recently implied that, if I attended their event, then there could be the potential for paid work in the future. Whilst I appreciate that sometimes in life you need to speculate to accumulate, I’m not going to give up two days of my time and £250 just on a ‘maybe’. Thanks, Suze… glad to hear it’s not just me!